Commencing 15th March this year, the Air Europa daily flight from Madrid to Havana will be operated by a Boeing 787 Dreamliner. 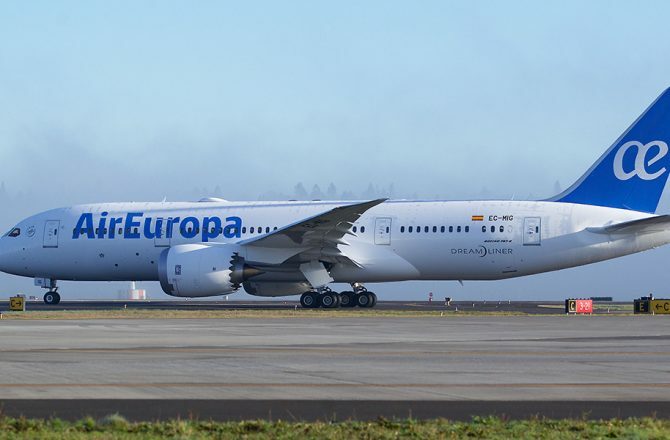 The Dreamliner is the most modern aircraft in the Air Europa fleet and Havana is one of the first destinations in the airline’s network to benefit from this new aircraft, replacing the existing Airbus A330. Due to its construction from lighter, yet stronger, composite materials, the Dreamliner is far more fuel efficient and quiet than its predecessors. From a passenger point-of-view, windows are a whopping 30% larger than a comparable 767 and light levels can be controlled electronically at the touch of a button. 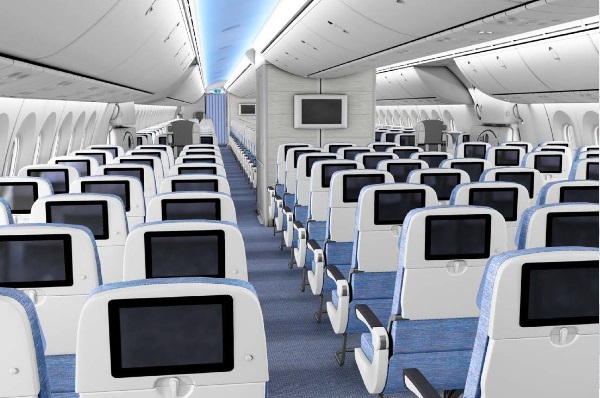 At the same time, the cabin of the Dreamliner is pressurised at a lower level than most, similar-sized aircraft, meaning that passengers are less likely to suffer from drowsiness and headaches; improved humidity levels in the cabin also reduce the normal drying effects of flying. 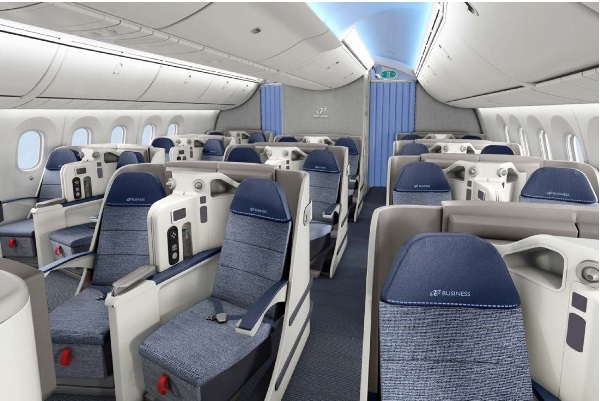 Air Europa’s new Dreamliner consists of an Economy cabin with 274 seats and a Business Class cabin with some 22 seats. Economy is configured 3-3-3 with all seats benefiting from a large, 10.6 inch personal, touch-screen TV as well as USB Port and iPort. Business class is configured 2-2-2 with seats that convert into 2 metre-long, lie-flat beds and featuring 15-inch TV screens. Wifi is also available in both cabins for a fee. Although I’ve not yet flown on the Air Europa Dreamliner, its seating configuration, seat pitch and seat width is very similar to most other operators of the aircraft. My personal experience of the Dreamliner (only economy, alas) is that the larger windows, lower pressurisation and increased humidity do, genuinely contribute to a more comfortable flight. However, the economy configuration is a bit tight so you may be thankful for the distraction provided by the improved in-flight entertainment systems. Air Europa offer daily flights direct, non-stop from Madrid to Havana with connections from London Gatwick. For travel in February and March, flight schedules are as follows.